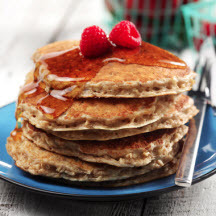 CooksRecipes has quality, kitchen-tested recipes for a variety of oat pancakes that you can count on for successful deliciousness. 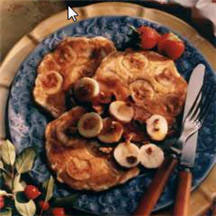 Kids always love pancakes and these are healthier than most with fiber and protein. 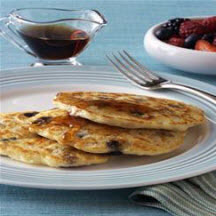 Start the day with a hot and tasty nutritious breakfast of hearty oatmeal pancakes.